Perhaps there is a shady place in your house or garden where you would like to grow plants. Here are some tips to create brightness and increase warmth in a shady area like a courtyard or side path. Lack of the required number of hours of sunlight can limit your planting options. Since installing grow lights can be expensive you can first take advantage of any available reflective light. Directing light from reflective surfaces to all of the leaves will improve your plants’ health and ability to thrive. Painting surrounding walls in glossy white paint will add brightness and the use of white gravel or river stones reflect back most of the light and heat they receive. Reflective surfaces such as a mirror or a board covered in aluminium foil can be used to direct light. Caution needs to be used to ensure the reflected intensity does not burn the plants foliage. From the available light spectrum plants require mostly blues and reds for photosynthesis but for flowering infrared light is also needed. Fluorescent lights vary according to the phosphor coating used by the manufacturer. Foliage plants grow well under cool white fluorescent lights that produce mostly blue light and are low in red light. To ensure adequate red choose a second warmer toned light or purchase ‘full spectrum’ tubes.. These lights do not produce much heat therefore they can be positioned quite close to plants. The older style incandescent lights produce mostly red light and some infrared light and are very low in blues, however, they generate heat and may cause leaf burn. Blooming plants, like African violets, require extra infrared which can be supplied by an incandescent light, or special horticultural high intensity discharge lamps (HID). HID lamps, specifically metal halide and high-pressure sodium, are a common light source for indoor gardens. 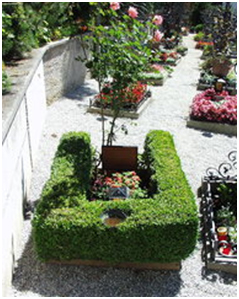 Sometimes a combination of solutions works best – whatever you choose we wish you happy Green Gardening.